Panamanian shortstop who signed with the New York Mets as an international free agent in 2006 and made his major league debut in 2010. He represented Panama at the World Baseball Classic in 2009 and 2013. He was born in Santiago de Veraguas, Panama and grew up just feet away from Estadio Omar Torrijos Herrera. 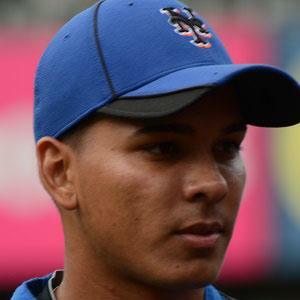 In 2010, he became the youngest position player to play for the Mets on opening day since Tim Foli in 1971. He has been teammates with Lucas Duda in New York.